Last month TrekMovie reported that even though he had been approached, JJ Abrams was not interested in directing the new Star Wars movie in development at Disney (who recently acquired LucasFilm). In a new interview Abrams offers more details on why he said no, notably that he feels a loyalty to Star Trek. Abrams said no to Star Wars due to Trek loyalty – could franchises go head-to-head? "There were the very early conversations and I quickly said that because of my loyalty to Star Trek, and also just being a fan, I wouldn’t even want to be involved in the next version of those things. I declined any involvement very early on. I’d rather be in the audience not knowing what was coming, rather than being involved in the minutiae of making them." "I guess the franchises could go up against each other, but I’m not thinking that far ahead (laughs)…I’m a huge fan of Star Wars, Empire and Jedi, and the idea of the world continuing is exciting and will be amazing." Of course to get a film out by 2015 (in time to compete directly with the Star Wars film), Paramount would have to go into development on another Star Trek film almost immediately after Into Darkness is released. If they wanted Abrams to return to the director’s chair, that is a very unlikely scenario as he has already expressed interest in working on another original film, which he and another writer are currently developing. For his part, Chris Pine was also asked by Empire if he had any interest in working in that galaxy far far away, but he too seemed to defer to Trek, noting how he and the other actors are already committed to making another Star Trek movie. Much more on Star Trek Into Darkness and from Pine and Abrams in the new issue of Empire Magazine. Pick up the digital copy at iTunes or on newstands on December 27th. LA Times: “Star Wars” vs. “Star Trek” is sort of a classic Beatles vs. Stones debate for sci-fi fans of a certain age. You have said you wanted to infuse your “Trek” revival with some lessons learned from the George Lucas universe. Can you talk about that? JJ Abrams: Well, I’m just a fan of “Star Wars.” As a kid, “Star Wars” was much more my thing than “Star Trek” was. If you look at the last three “Star Wars” films and what technology allowed them to do, they covered so much terrain in terms of design, locations, characters, aliens, ships — so much of the spectacle has been done and it seems like every aspect has been covered, whether it’s geography or design of culture or weather system or character or ship type. Everything has been tapped in those movies. The challenge of doing “Star Trek” — despite the fact that it existed before “Star Wars” — is that we are clearly in the shadow of what George Lucas has done. LA Times: How do you overcome that? JJ Abrams: The key to me is to not ever try to outdo them because it’s a no-win situation. Those movies are so extraordinarily rendered that it felt to me that the key to “Star Trek” was to go from the inside-out: Be as true to the characters as possible, be as real and as emotional and as exciting as possible and not be distracted by the specter of all that the “Star Wars” film accomplished. For instance, we needed to establish that there are aliens in this universe and yet I didn’t want it to feel like every scene had four new multi-colored characters in it. That is something “Star Wars” did so well with its amazing creature design. The question is how do you subtly introduce the idea that there are different species here. And to also do it differently than the [“Trek”] TV shows, which basically had someone wearing a mask sitting in a chair [in the background]. It was the balance of doing what the story needed us to do but also not feeling like we were trying to rip off or out-do what Lucas did. Speaking of Abrams and Lucas, here is a famous photo of the pair of them chatting in 2007. To be honest–I think it could’ve been pretty cool, for both Trekkers and Star Wars fans (do they have an “official” nickname, BTW? ), knowing that the same guy was behind the helm for the “redemption” of both universes. Who knows? Could actually bring World Peace behind the militants of both groups, at last…. That settles it. JJA is macho. Star Wars could make him wealthy and the inarguable king of Sci fi, but out of loyalty to Trek, he wont even ENTERTAIN the idea of involvement? Chris Pine would be awesome as luke, or new star wars hero. Glad J.J is staying in the Federation and not in that silly Empire they have. Now the Terran Empire would be a better thing. Bad Robot used to be a part of Touchstone Television which is Disney. I wonder how much of it was “Been there. Done that.”? @ 6 Emperor Mike Of the Empire. Star Wars is awesome man, and to a lesser extent, so is the prequels. I’m a fan of both. Of course I will still give it to Trek because it’s the more intellectual of the two. But both are fun universes. Aww, I’m kind of touched by this actually. James cameron would never touch Star Wars…not with him making Avatar 2 and 3. Micheal bay needs to stay far away from Star Wars…eventhough… I would love him to do a Trek film, that focused on a space Armada war. Now….. we all know Bay knows, how to make things blow up real good. @2 I like to call them Warsians because that’s how “Geektastic” put it in their short story about a Klingon cosplayer girl and a Jedi cosplayer boy having a one night stand at Comicon. So…was that the dinner conversation JJ had with George Lucas a couple of years ago? The one that we had a caption contest about? Silly man… I’d love to see his take on Star Wars. I was bored to tears by last three movies. One of the reasons why JJ Abram doesnt want to direct the new Star Wars movie is cause of all the attention it gets. Hes all about the secrecy and not telling anyone about the movie til it comes out. with Star Wars, everyone will want to know about the Making of it, Whose staring in it and so on, Which is why Lucasfilm did all those little webdocs during the making of the prequels on the starwars site. JJ Abram isn’t about that, He likes keeping things secret til the end. Disney offered the job on condition ‘No lens Flares’ , JJ declined. Star Wars always takes the spotlight. Don’t get me wrong, fan since I was a kid, I have Ep I-VI on blu-ray, I love me some wars but I really wish if there were more Star Wars films that they would have been released after the third JJ trek, alas money is the game. 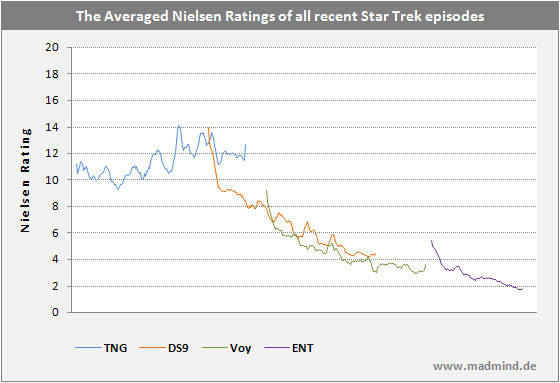 Star Trek (because of the 2009 film) has seen more popularity among non fans then ever. After the three movies are released, popularity soars, new Star Wars films would be released = new craving for sci-fi, a new Star Trek TV series would thrive. Regardless….. I am glad the people involved with Star Trek have decided to stay focused until the task is done. There hasnt been a new Star Trek TV Series on TV for sometime, And the movies are all we got at the moment. Surely these films will pave the way for a new Trek series in the future, Whether it be from this Alternate Timeline or the Existing one. In reality, He cant really handle two of the biggest franchises at the same time, Its better he just concentrate on Star Trek and maintain its level of quality. I really like JJ’s integrity about his work. Him not commiting to a movie before he sees a finished script, shooting a movie the way he likes it and not how the studio wants it and now this. Love him or hate him, he seems to have very good work ethics. @1 They are called “Fan Boys”‘, but I don’t know about the girls… back when that nickname become popular girls didn’t EVER like geeky stuff. Oh how things have changed. Knowing Disney, it will Chris Columbus. Star Wars VII: The Rise of the Ewoks. Yes, I’m sure Jar Jar is totally loyal to Star Trek. Well at least he won’t ruin two franchises. Not only that, but given the dreck that episodes 1~3 were, the whole Stat Wars brand DESERVES Chris Columbus. I doubt the mouse can resurrect a franchise that is nearly 30 years past its useful life. Really JJ is smart to avoid dealing with that particular brand of white rice and Nyquil…that is bland and boring. Take away the FX, and star wars is a collection of terrible stories with only two interesting, slightly original characters. Im sleepy just thinking about it. I’m pretty sure JJ is already wealthy now. What he’s doing is called integrity. JJ, you are absolutely amazing for being loyal to Star Trek. And that, Mr. Abrams, is just totally, totally the best thing you could do in my eyes. Thank you for being such a devoted fan and supporter of Trek. I know I’m not alone in appreciating your sentiments. Anyone else think it’s a little disheartening he doesn’t mention good writing as one of the points to making a successful sci-fi movie? Spectacle, designs, emotions, characters, aliens, ships, locations, excitement—yes, all important aspects, Mr. Abrams. Love or hate JJ Abrams (and I mostly loved 2009 Trek) we shouldn’t have the same hand guiding both franchises. They deserve a bigger breadth of style and inspiration than any one person can furnish. Though I’m already resigned that Star Wars VII will have Benedict Cumberbatch as a villain. Actually I’d love to see him there as a hero. I think Trek is going to get better while Wars will just be a sad and obvious grasp to milk the franchise for every cent it can produce. Good choice JJ. JJ just couldn’t say what he really felt with the camera on his face. He’s really just as pissed off as the rest of us that Disney bought LucasFilm. @9. Actually R2 was an ILM in-joke, the same as the Millennium Falcon in First Contact. @34 No! Cumberbatch should not be allowed to be that awesome (and typecast)! Haha. He’s Smaug, Sauron and a Star Trek villain already. Though SFX Mag wants him as a sith lord and yes that would be cool but… Meh! I don’t want him to be Dr. Strange either. Aside from being born to play nuSherlock he is born to play Gaiman’s Morpheus and no one can convince me otherwise. actually, I’m glad he won’t ruin Star Wars as well (or ruin it even more). I’ve seen some of his work..even though I did like MI:3, but there were just some stuff, I wasn’t too keen on. Then, of course, I hated Trek ’09 with a passion. He might be nice and all that (I haven’t met or worked with him as of yet). But, based on his track record, I wouldn’t be impressed with him in the director’s chair on SW. Without Abrams Trek would have fallen to the category of cheesy sci fi! Correction…”Its Friday night, what the heck am I doin inside” situation! #39 – Exactly. Here Star Trek was riding high on the coattails of “Star Trek: Voyager,” “Star Trek: Enterprise,” and that blockbuster smash known as “Star Trek: Nemesis.” In fact the franchise was doing SO well that because of all the money Paramount had just made from the powerhouse that Star Trek that we were left with nothing but Tim Russ fan films for 5 years. Here J.J. came along and ruined all that for us. HOW DARE HE!!!! I think it’s likely to do exceedingly well, possibly the most successful Star Trek film to date. But your comment begs the question: how do we define ‘hit’ for the film? Is there a magic figure – rather, figures, both foreign and domestic – that it needs to pass to be deemed a success? What about critical reviews? I’m really curious to know how we define it, given that each of us probably has our own unique set of criteria. JJ Abrams: The key to me is to not ever try to outdo them because it’s a no-win situation. Those movies are so extraordinarily rendered that it felt to me that the key to “Star Trek” was to go from the inside-out: Be as true to the characters as possible, be as real and as emotional and as exciting as possible and not be distracted by the specter of all that the “Star Wars” film accomplished. I am madly in love with this quote…. So he’s turned down an offer to direct for a franchise that he has a chance to understand in favor of staying with one that he has no clue about.